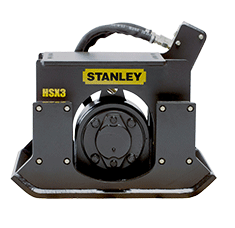 Stanley's vibratory plate mounted compactors are designed for extreme-duty applications and built to deliver maximum vibratory force. 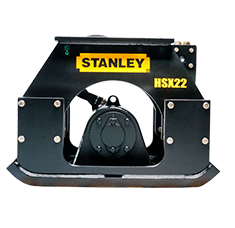 Stanley mounted compactors provide a high level of centrifugal force ranging from 3,400 to 22,000 pounds. 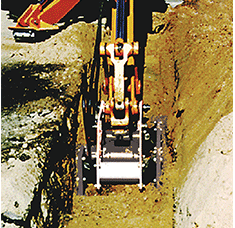 These units have more compaction force than a walk-behind plate compactor which eliminates the need for a person working down in the trench simplifying ease-of-use and operator comfort. 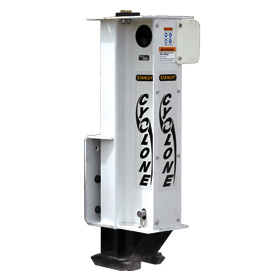 Enhanced valve block cover provides additional protection from accidental mishaps. 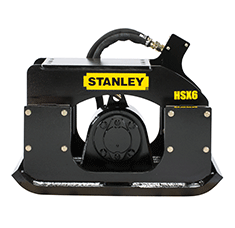 Hydraulic hoses are protected with a nylon sleeve cover and precisely routed near the frame to minimize movement and interference while on the job-site. 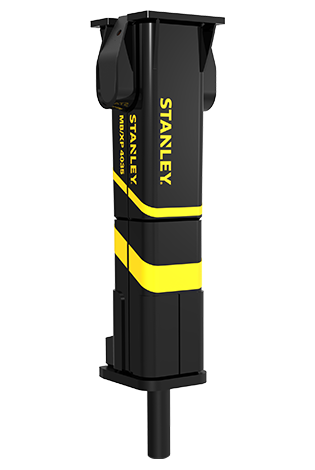 Flat top models offer compatibility with many different mounting confi gurations to simplify your connection at the carrier. 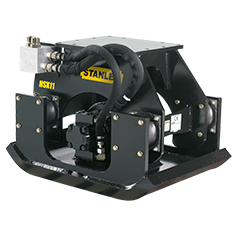 Each compactor has four heavy duty, industrial grade shock mounts that distribute vibration evenly. 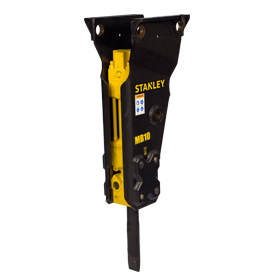 This delivers consistent force to improve the operator’s efficiency and work quality.